These long ivory pearl earrings have a lovely natural sway and movement and a modern way to wear pearls. 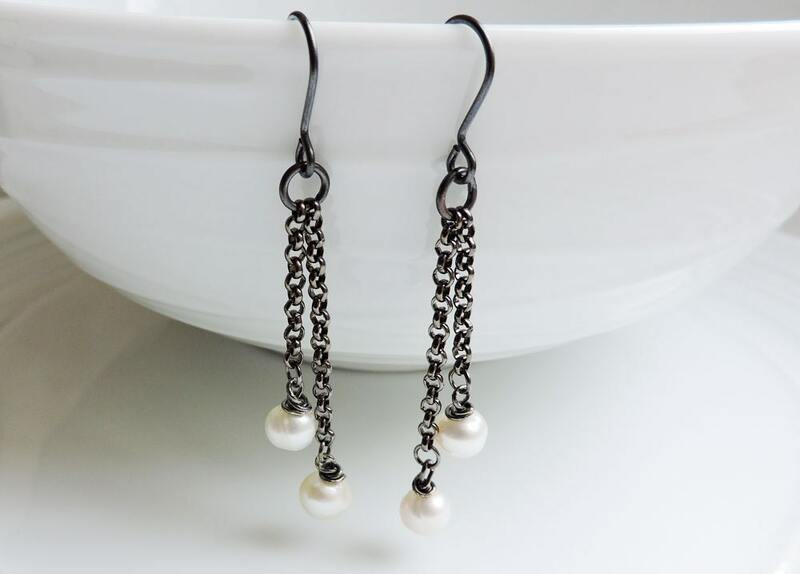 The black & white cascade earrings feature four large ivory white freshwater pearls which are carefully wire-wrapped by hand and suspended from long chains. Most of my items can be customised, and I keep various colour pearls in stock, so if you would like to request these earrings with different coloured pearls or chain just send me a convo or request a custom order.